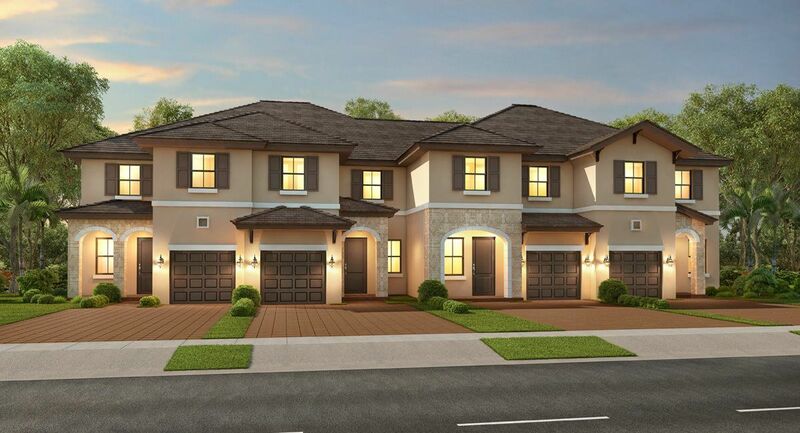 The Blossom Collection in AquaBella invites you to visit and learn about the new contemporary three and four bedroom townhome designs with up to nearly 2,000 square feet of living space. The floorplans are spacious and designed for small and large families alike, plus now when you purchase a new Lennar home in AquaBella you’ll be able to discover the magic of The Connected Home by Lennar, with activation and support by Amazon and voice control by Alexa. Your new townhome at the Blossom Collection will include Lennar’s Everything's Included® package, Amazon Alexa will allow you to activate your home with just your voice! Control shades, lighting, audio, and more through voice activation, or remotely through your mobile device. Lennar’s Wi-Fi CERTIFIED™ Home Design enables you to quickly and efficiently go online anywhere in your home, including the garage and outdoor living areas. Plus, your new Lennar home also includes access to Amazon’s 90-day Smart Home Support! With these and all of the other features included at no additional cost like stainless steel appliances and beautiful 36” kitchen cabinets, your move into your new home will be a breeze!